Oh my heavens! Need a little pumpkin fix without all the extras?! 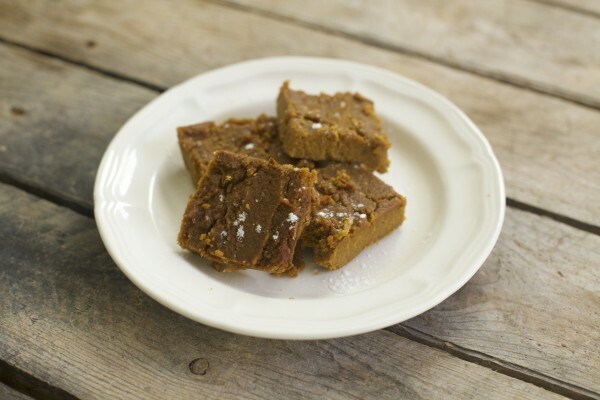 These grain free Pumpkin Bars taste like you're scooping out the pie filling. These are super clean festive snacks to keep around the holiday season. I like to have a bar with my coffee, or for a sweet treat in the afternoon, but these are also a hit for gatherings, especially for those that struggle with food sensitivities. A low-glycemic treat and free of grains. Helping you maintain steady blood sugar, good energy, and keep you from inflammation. PLUS, you have all the benefits of Pumpkin working for you! Grease a 9×9 Baking Dish well with coconut oil (or grass fed butter). Combine all of the ingredients in a large mixing bowl and stir well. Pour the Pumpkin goodness from bowl into greased baking dish. Bake to 35-40 minutes, or until edges are golden brown and center is baked through.